Come relax in the secluded, pristine beauty of the Smith River. Deck and Hot tub over look the river. Peace and Quiet. We are located approximately 17 miles from Crescent City. I could not have imagined a more perfect getaway than the space Kris and Mike have created. Nestled privately on a beautiful property, the cottage is very comfortable containing all the comforts of home, and is situated a stones throw away from a river that is more beautiful than i could imagine. Listening to it as you sit in the hot tub, its a very special place to write your first novel, or just relax and recharge and get some time away from the city. The surrounding areas are breathtaking, this area of the Smith River is in many ways untouched, very close to numerous of the Redwood National and State park areas, and just lovely to expore. Couldn't recommend more, and hope to return some day. The Rustic Retreat is way bigger ... the pics make it look small. So beautiful! Heater works great, hot tub was hot and clean, the view and sounds of the Smith River were amazing. The property itself was superb...with a pond with ducks, a fountain with fish. The bed was so comfy. Very much recommended for folks seeking beautiful views, relaxation and rest. 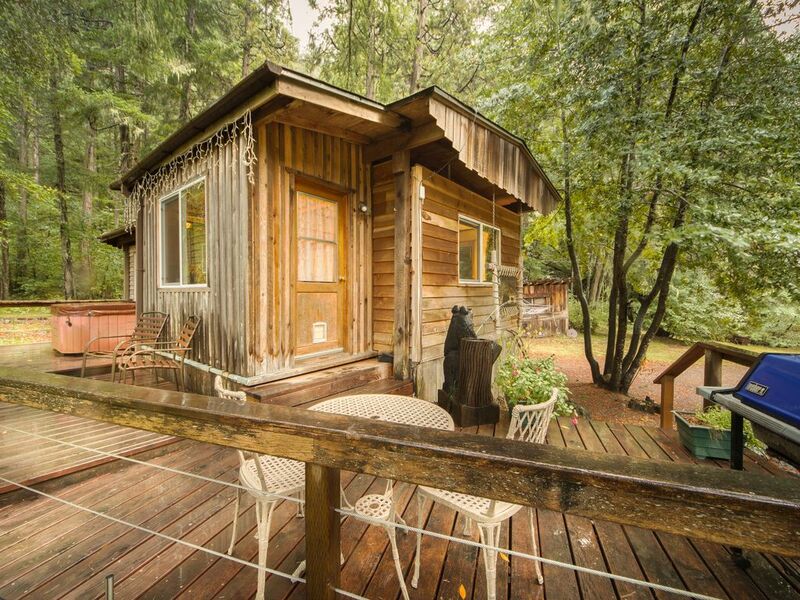 Lovely little cabin right on the Smith River! The big winter storm blew out all the rivers our entire stay but the hot tub soaked up the pain! It’s got everything you need for a few days away from it all. We drove in to unload all our our gear and then parked over the bridge and walked in/out for day trips. Definitely coming back. Unless there's a really valid reason. Enter via footbridge. Otherwise that's about 30 minutes you could have been doing something else. We were completely happy with our decision to stay at the middle fork ranch!